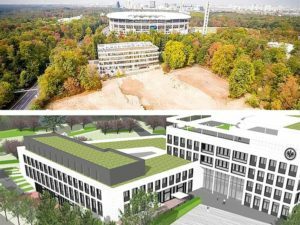 Three years after the winning design for Złębiowski Park Sportowy (ZPS) – one of Poland’s largest proposed sports complexes – was revealed, Sosnowiec city council finally gave its nod for the project with construction tender expected any day now. The decision came just three days after local elections at the last meeting of the outgoing city council budget committee, which approved the ZPS project as part of the Multiannual Financial Perspective for 2018-2040. The city council voted 17-3 in favor of the project with 7 abstentions in an expected move after poll results substantially strengthened the current mayor Arkadiusz Chęciński while defeating his main challenger, councilor Karol Winiarski, who is the biggest opponent of the ZPS project. According to deputy mayor of Sosnowiec, Jeremiasz Świerzawski, the tender should be launched within days after documentation formalities are completed with the public tender department. 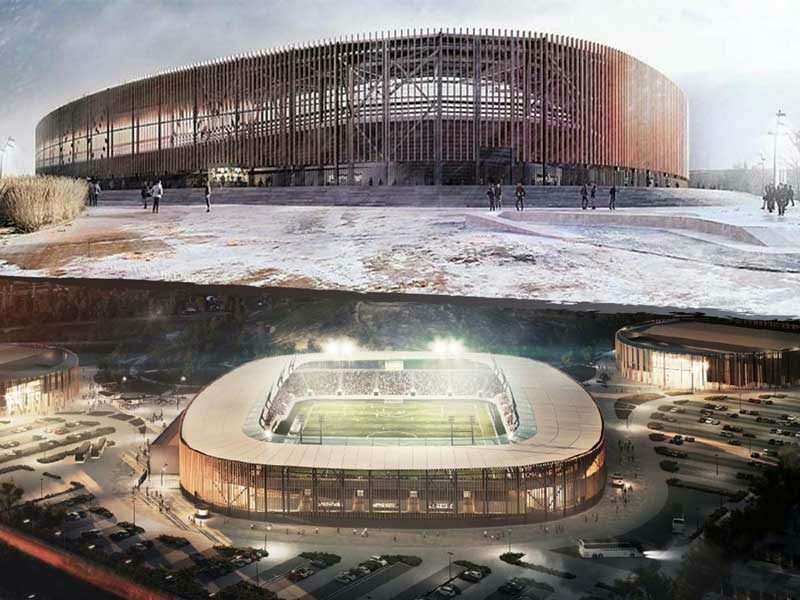 The proposed ZPS complex will include a football-specific stadium for Ekstraklasa side Zagłębie (12,000 capacity), new indoor arena (3,000 seats) and covered ice rink (2,500), all kept in warm wooden aesthetics to softly connect with nearby public green areas. 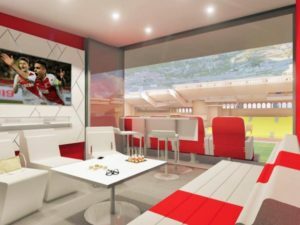 First up, work is expected to start on the stadium in the first or latest by second quarter of 2019 after the tender is awarded. Maintaining a check on the budget will be crucial as authorities hope to finance the entire scheme without reaching for any loans. The cost for the entire ZPS project is estimated at net PLN 162.8mn with total cost hovering around PLN 200mn, which are equivalent to €38mn and €46mn, respectively. 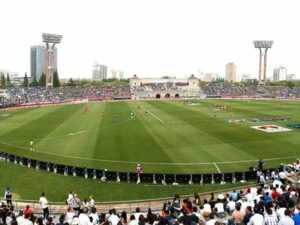 The stadium itself should require PLN 64 million.